Set goals in writing. Figure out how much weight you want to lose and how fast. The average weight loss is 1 to 3 lbs. 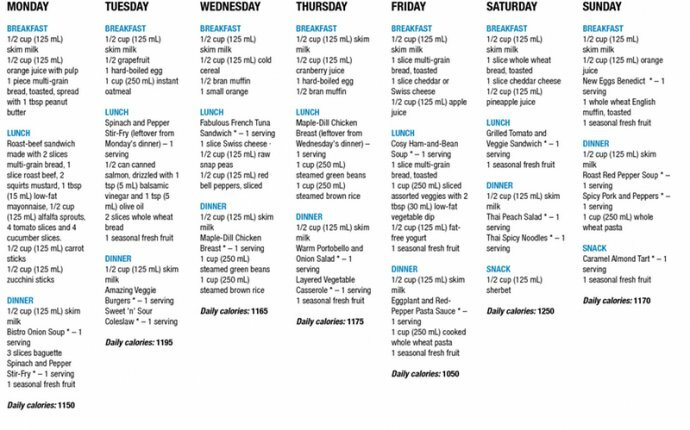 a week, although the numbers are usually bigger during the first two weeks of dieting. Also, the heavier you are, the faster you should be able to shed pounds. Start your diet by doing a one-day liquid fast. Eliminate all solids and concentrate on drinking only vegetable juices, herbal teas, unsweetened drinks and water. You can also add a diet or protein shake for lunch. This will increase your energy levels and reduce cravings. Don't eat out. Restaurant food is rich to ensure flavor. For the dieter, this translates to lots of fat, sugar and calories. Also, you can't know what goes into the making of a specific dish, so you may be eating more than you think. For the time that you're on a diet, eat in or bring food with you anywhere you go. Cut all carbohydrates from your diet. While carbs are essential to your body, you can safely eliminate them for a brief period of time (one to two weeks) without consequences. Cut all breads, pasta, rice, starchy vegetables (corn, potatoes), sweets and sugars, sweetened drinks and desserts from your diet. Read labels to make sure you are not eating hidden sugar.There are more than 25 names for sugar, and many are used in products you wouldn't suspect, like tomato sauce. Some common types of sugar include lactose, glucose, fructose, corn syrup, maltodextrin and molasses. Eliminate all fruits except berries. Fruits are high in sugar and will interfere with weight loss. Berries are low in sugars and low in the glycemic index, so you can eat them a few times a week to satisfy your sweet tooth. Mix them with ice to make a sorbet or with skim milk for a breakfast shake. Eat lots of greens. Most vegetables are acceptable, except for starchy ones, but green leafy veggies are especially high in fiber and will keep you satisfied without providing too many calories. Eat only lean proteins. This means only chicken, fish, turkey or soy. Cook foods without oil or fats, and either bake, grill, steam or boil them. Dairy products are high in fat and sugars, so eliminate cheese and creams completely. Skim milk and cottage cheese are fine once a day. Yogurt is OK if it's unsweetened and low-fat. Stop drinking alcohol. Beer and cocktails are the obvious bad guys, but liquors, vodka, whiskey and even wine are also high in calories. Alcohol also increases triglycerides and encourages fat production. Exercise for at least 60 minutes every day. Choose intense activities such as hiking, running, jumping rope or outdoor biking. You should also do an additional 15 to 20 minutes of resistance training, either using your own body weight (push-ups, squats) or using dumbbells or machines.